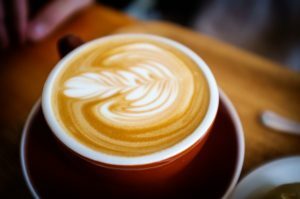 I was having coffee recently with one of my team members and the coffee conversation soon became a coaching session on career progression. These conversations come up often and I have given the same advice (or variants of it) many times. I wanted to share some of it here. You need to Take Ownership of Your Career. If you don’t, nobody will. But what does that mean? Here are a few points to get you started. Know What You Want: It’s too easy for people to complain about their job, their boss, their career, etc. But do you know what will make you happy? If you can’t articulate what you want, nobody, including your boss, can help you achieve it. Maintain a Positive Attitude: Happier people and happier teams are more successful and able to overcome obstacles. Be positive and enthusiastic. It’s contagious and people will gravitate to you. You will build better relationships, and leaders will want you on their projects and teams. This doesn’t mean you should see the world with rose coloured glasses, that won’t do you any good. Be realistic about things, but focus on positive energy, body language and communication. It will help. ABC – Always Be Curious: The world is changing, technology is changing, management principles are changing. We all need to adapt and learn new things. My own career has gone through many changes and I have had to learn and re-invent myself repeatedly. This is not a bad thing, it is the way of the world. Just remember to bring the transferrable skills with you. Sometimes I feel like a Swiss Army Knife, pulling out tools that I have collected through the years and re-applied them to solve today’s problems. You must keep learning. Think Long Term: In managing a services business, it is always very hard to match Demand, Supply, and everybody’s Interest at all times. Work must get done, even if it’s not what we have on our personal ‘learning plan’ for that month. But if you know what you want, communicate it, and show some patience, you have a better chance of getting the experiences you want over time. Being a ‘Team Player’ can pay off. A Final Thought: Only you can define what success means to you. What other people want is not relevant. Be honest with yourself and genuine in what you aspire to. Success on someone else’s terms is fools gold.